Known famously as the 'Vegas of China,' Macau is a Special Administrative Region (SAR) of the People's Republic of China located just an hour’s ferry ride from Hong Kong. Once a Portuguese colony, this little place houses an interesting mix of the old and the new—from shiny, towering casinos to old streets paved with beautiful Portuguese tiles and houses. 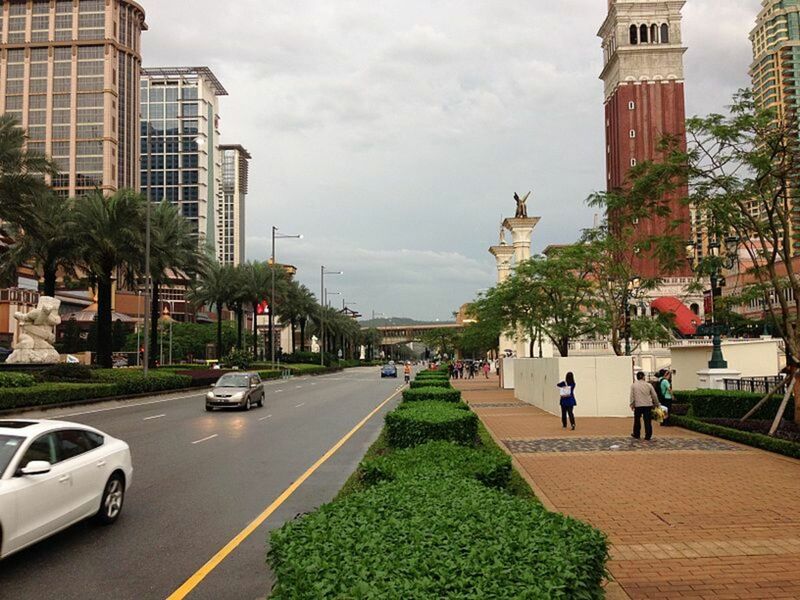 When you are traveling to Asia, Macau is definitely a place you should visit. 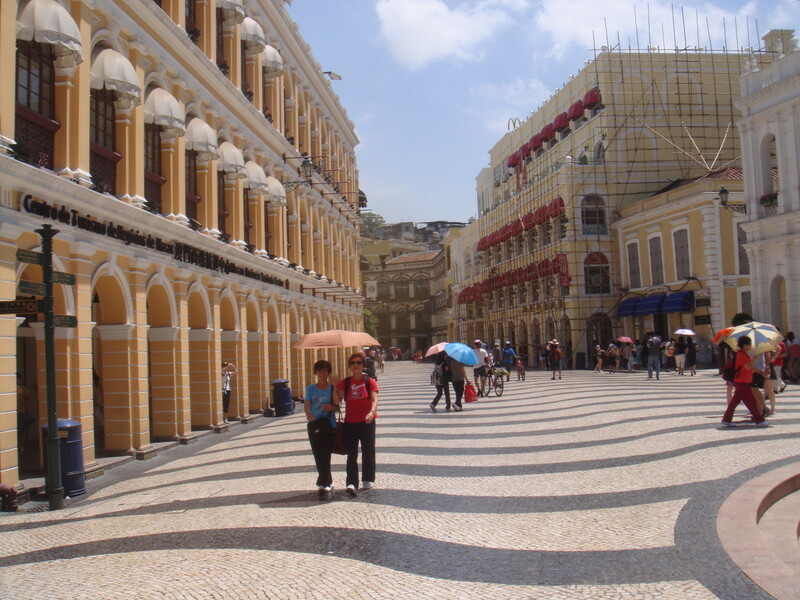 If you are planning a visit to Macau, here are some travel tips for you. 1) Private cars - You can drive your own car across HZMB. However, according to Wikipedia, to drive a private car along the HZMB, you would need to fulfil the requirements from both China and Hong Kong (e.g. having different driving licences for both Hong Kong and China, having appropriate motor insurance to cover both regions, having a Hong Kong Closed Road Permit, and an Approval Notice from the Guangdong Public Security Bureau). If you are interested in driving on the HZMB, you can check out the details at the Hong Kong Transport Department Website. 2) Shuttle Bus - A 24 hours shuttle bus between Hong Kong Port and Macau Port is available. The shuttle comes every 5 minutes during peak time and about 15-30 minutes during non peak time. For more information on the Hong Kong–Zhuhai–Macau Bridge, public transport details and driving instructions, you can visit the main website here. For a more visual overview of how to travel on the bridge, you can also watch this video from the South China Morning Post. By ferry: There are two main ferry terminals in Macau—Outer Harbour Ferry Terminal located at Macau Peninsula and Taipa Temporary Ferry Terminal at Taipa. 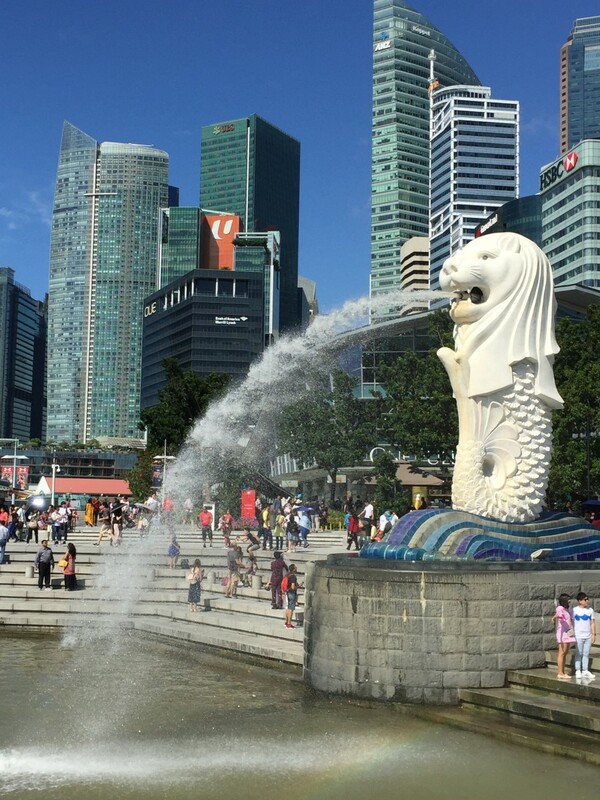 You can take a ferry to Macau from Hong Kong (Hong Kong–Macau Ferry Terminal in Sheung Wan, Hong Kong-China Ferry Terminal in Tsim Sha Tsui or Hong Kong SkyPier at Hong Kong airport) or from other neighboring ports in China such as Shekou and Zhuhai. Usually it is alright to buy ferry tickets at the ferry terminals on the day of travel as some ferry routes (especially Hong Kong - Macau) are so popular that the ferries set off every hour. However, you should also do a quick check to see if there are any events happening at Macau that may increase the influx of tourists to see if you want to buy tickets in advance. For example, I was at Macau during the Grand Prix and made the mistake of not buying the ferry tickets online in advance. It was a chaotic situation at the Macau ferry terminals and I almost missed my flight due to the lack of ferry seats. You can also board an earlier ferry if you wish after you have purchased your ticket with an allocated time. You just need to ask the ferry operator about the seat availability. There are a couple of ferry companies to choose from: Turbojet, Cotai Water Jet, and Chu Kong Passenger Transport (CKS). By flight: Macau has an airport so you can check for airlines which provide this service. Some airlines that fly to Macau include Thai Air Asia, Tigerair, Cebu Pacific, EVA Air, Air China and Korean Air. 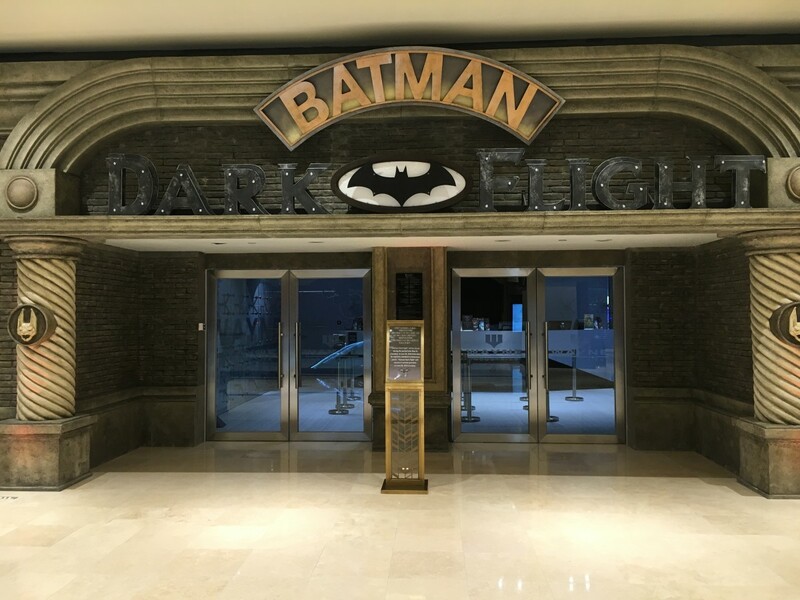 If you are leaving Macau and are planning to take a flight at Hong Kong international airport, you can opt to take a ferry directly to Hong Kong International Airport's SkyPier ferry terminal from Macau. 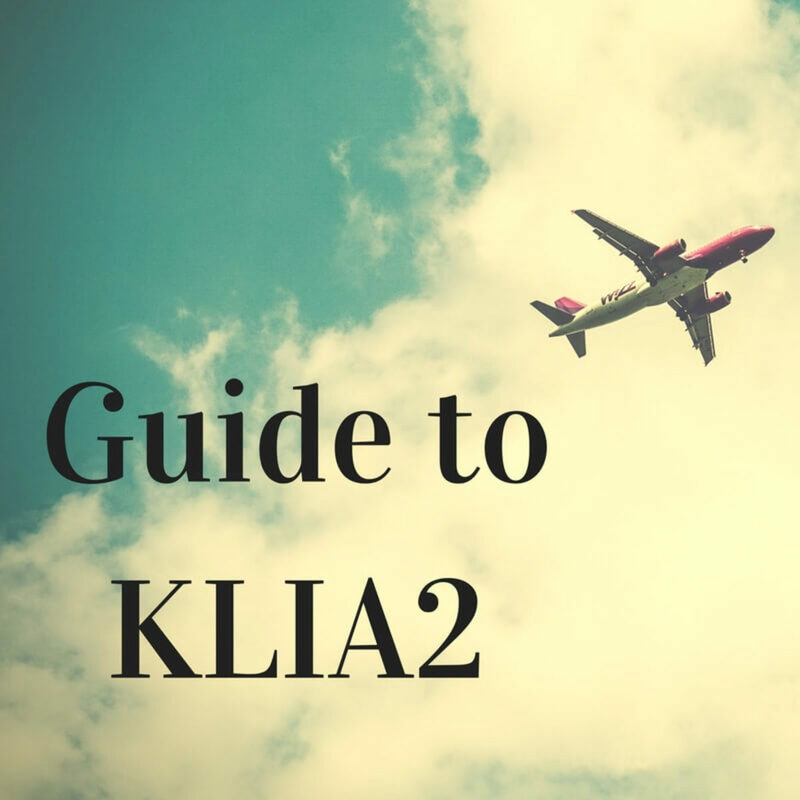 However, you need to make sure that your airline has a check in counter either at the ferry port or at the HK airport SkyPier ferry terminal which is located at the restricted zone. For more information, you can go here. Ferries to the HK airport are available at both Macau ferry terminals but they are not super frequent like the ones you take to Hong Kong central ferry terminals in Sheung Wan and Tsim Sha Tsui. 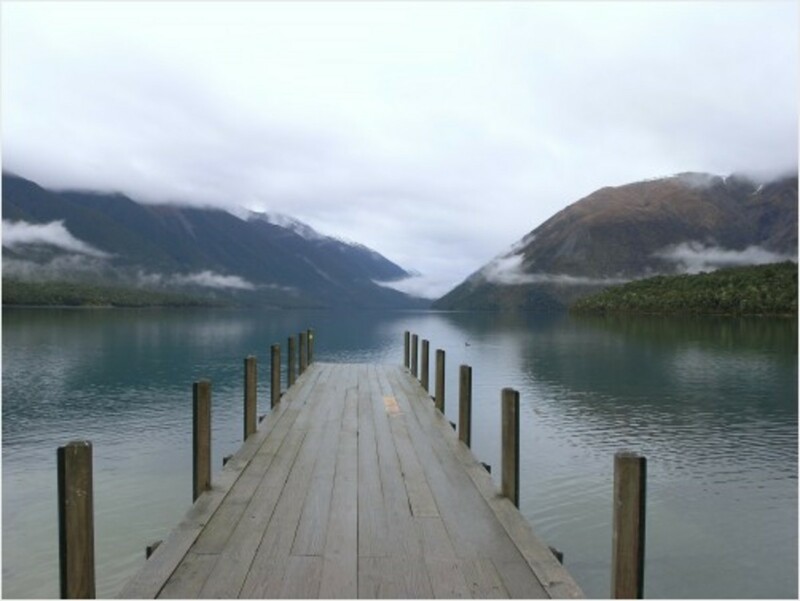 Do check which ferry operator has a suitable ferry timing and book online in advance. By bus: You can also travel to Macau by bus from Zhuhai, Guangzhou, Zhongshan, Dongguan, Shenzhen. Buses go to the Gongbei Border Gate where there are also many free hotel shuttles to main areas in Macau once you get through the customs. 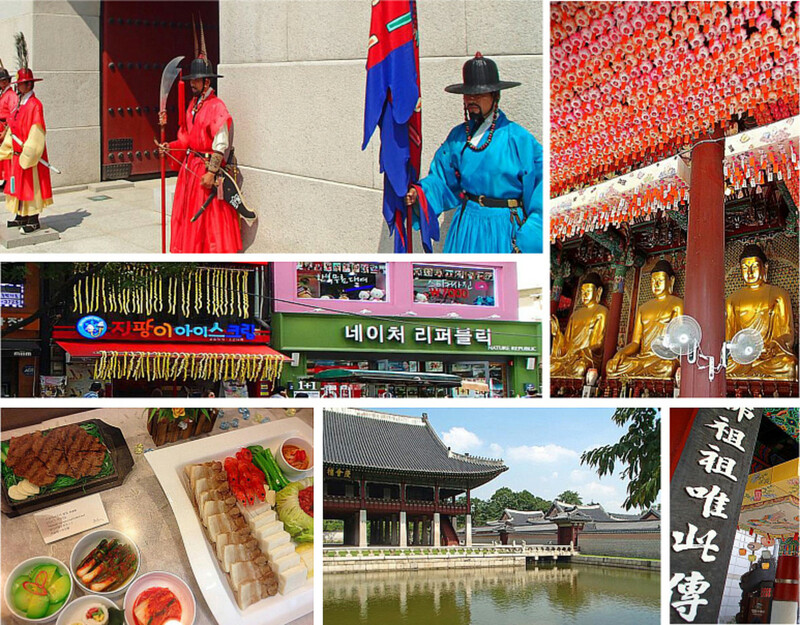 Where you decide to stay is usually dependent on the local attractions that you want to see. For things to do in Macau, you can refer to Tripadvisor. 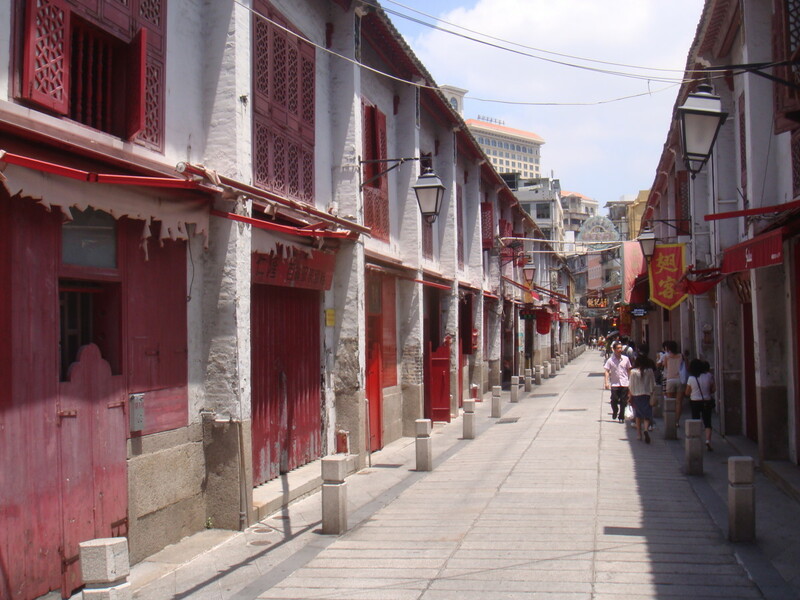 The more popular tourist attractions such as the Ruins of St Paul's and Senado Square are at the older area of Macau, the Macau Peninsula. 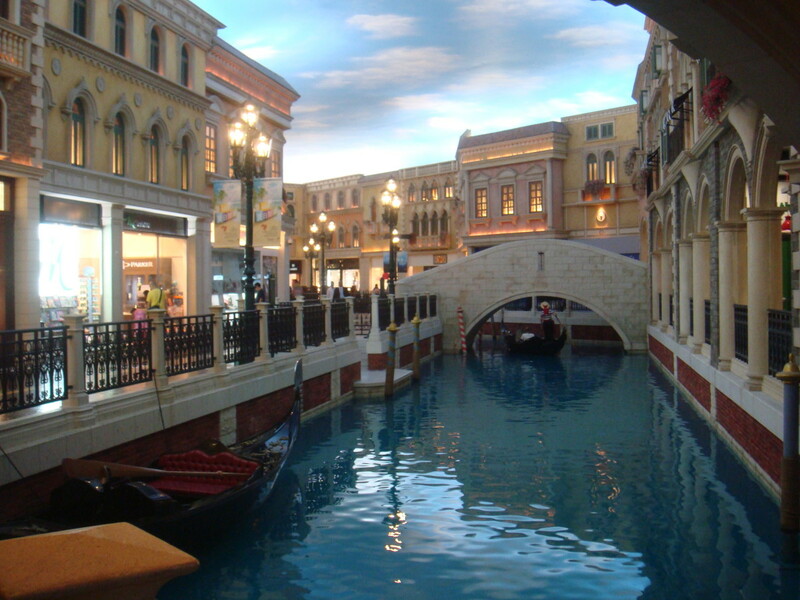 The extravagant hotels like The Venetian, City of Dreams, Studio City, Galaxy, Hard Rock are located at the Cotai area. 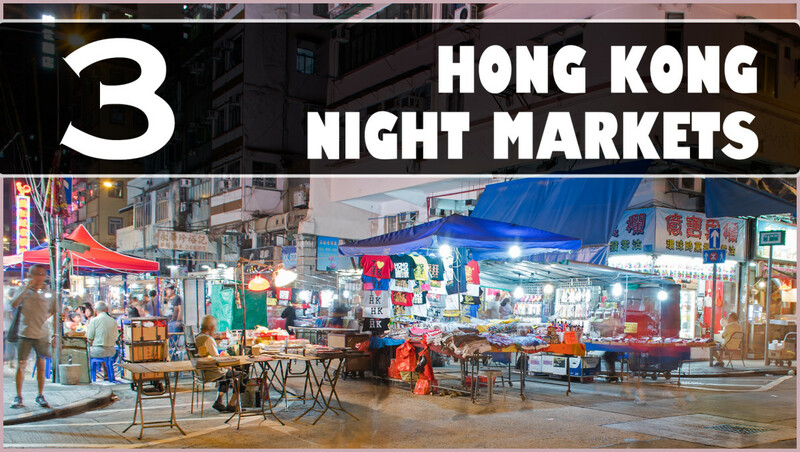 If you are looking for cheaper and more convenient accommodations, they are usually located at the Macau Peninsula. Some of the cheaper hotels I stayed at include Hotel Sintra (near the Macau Central and Grand Lisboa), Golden Dragon Hotel (~5 mins walk to the Outer Habour Ferry Terminal) and Metropole Hotel Macau (near Senado Square). 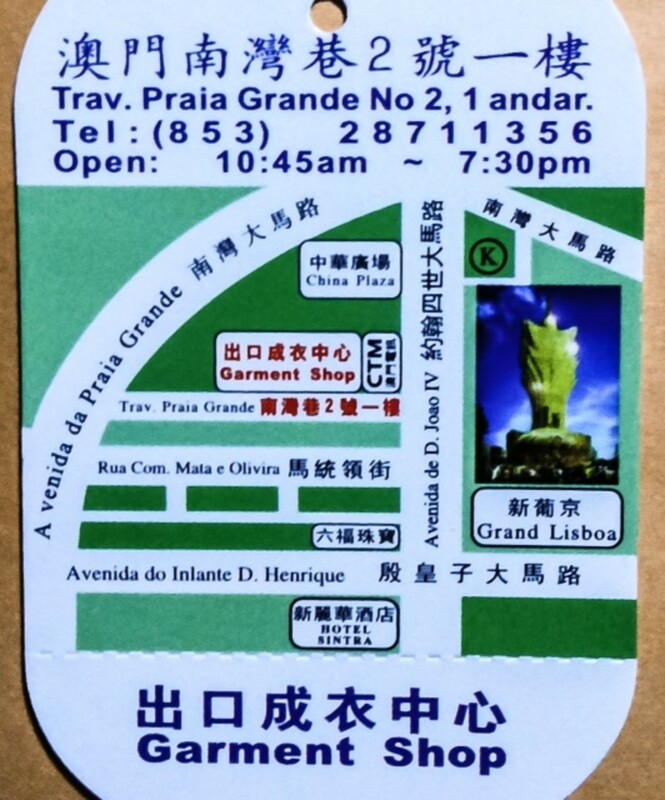 Macau is a land of free shuttle services so you don’t really need to take a taxi to major tourist spots. These shuttles are provided by many hotels. Generally, big hotels with casinos offer frequent shuttle services to their hotels. 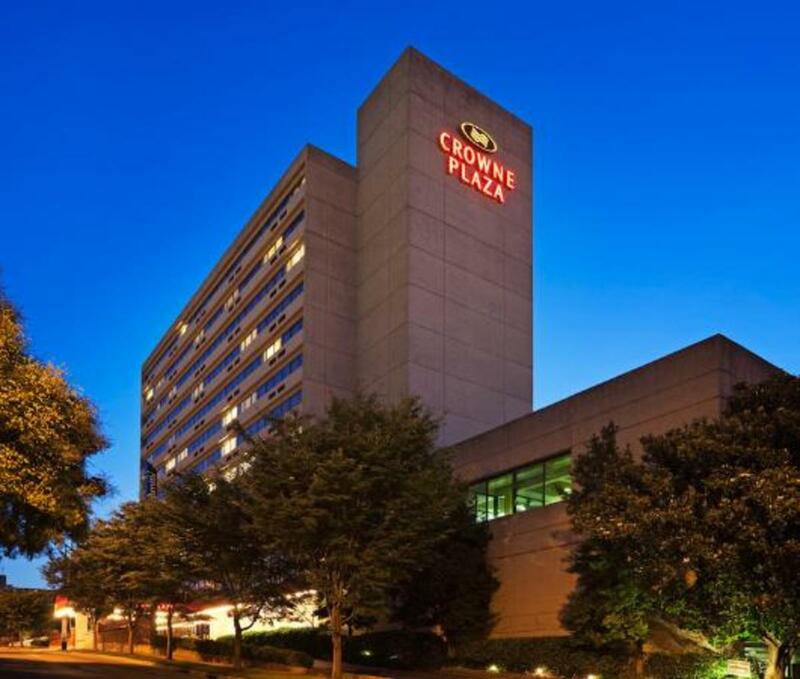 Smaller hotels and those that do not have casinos may have less frequent or no shuttle services. However, in Macau, you do not need to be a guest of the hotel to board their buses—no one will ask you about this when you use their services because frankly they don’t really care. The main aim for most hotels offering such convenient services is to get you closer to their casinos. If you happen to stay in a hotel which do not offer shuttle services, just look up for a hotel nearby yours which does and board their bus. 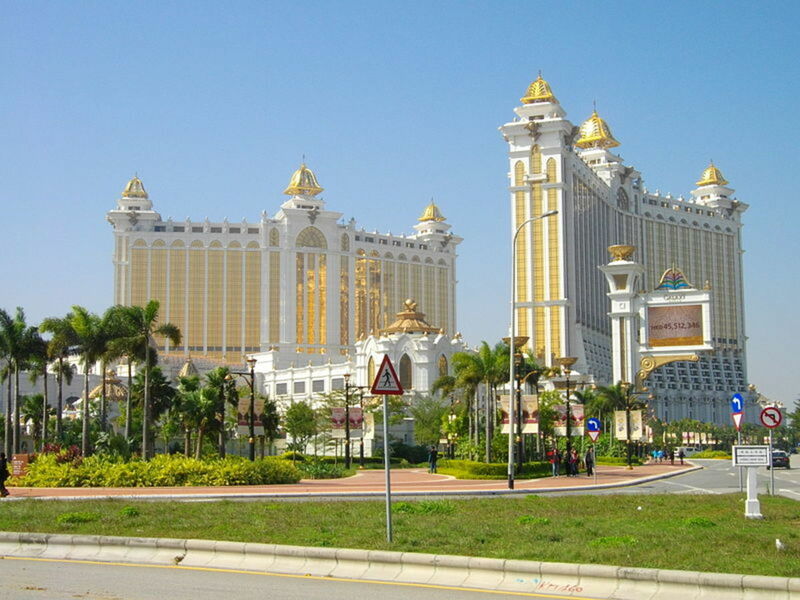 Big extravagant Macau hotels can be expensive (e.g. Sands, Wynn, The Venetian, Galaxy, Grand Lisboa) so sometimes I prefer smaller cheaper hotels that is within walking distance from bigger casino hotels. There is a big variety of free shuttles is at Macau’s Outer Harbour Ferry Terminal and Gongbei Border Gate. There are also free shuttles at the Macau airport and Taipa Temporary Ferry Terminal—but lesser in variety. 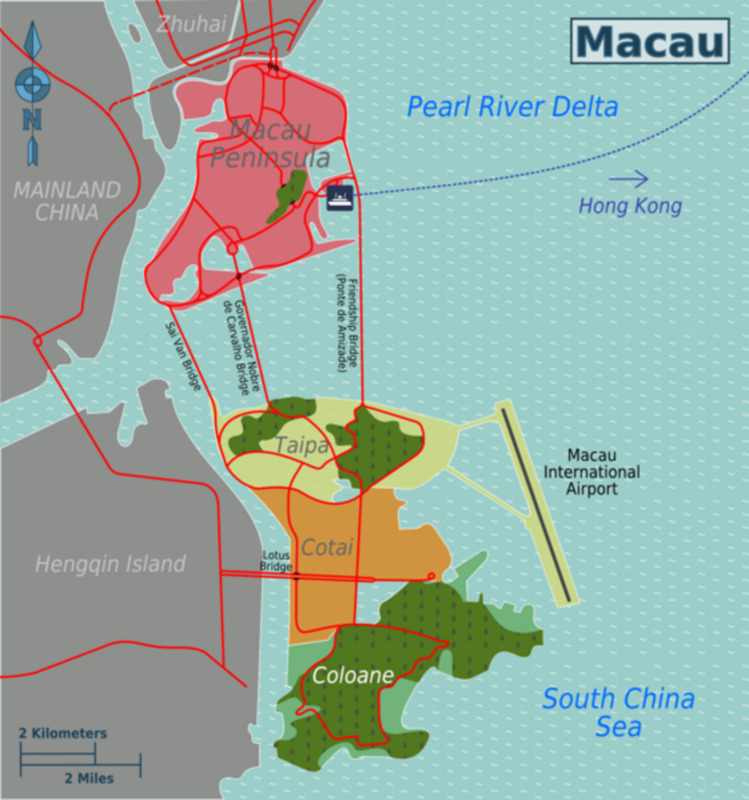 Majority of the tourist activities occur at the Macau Peninsula (older Macau district with majority of cultural tourist attractions/site seeing) and Cotai (a newer strip with super grand casino hotels) so many people travel back and forth these two areas daily. Trips between these two areas take about 15-20mins depending on the detours or traffic situation. 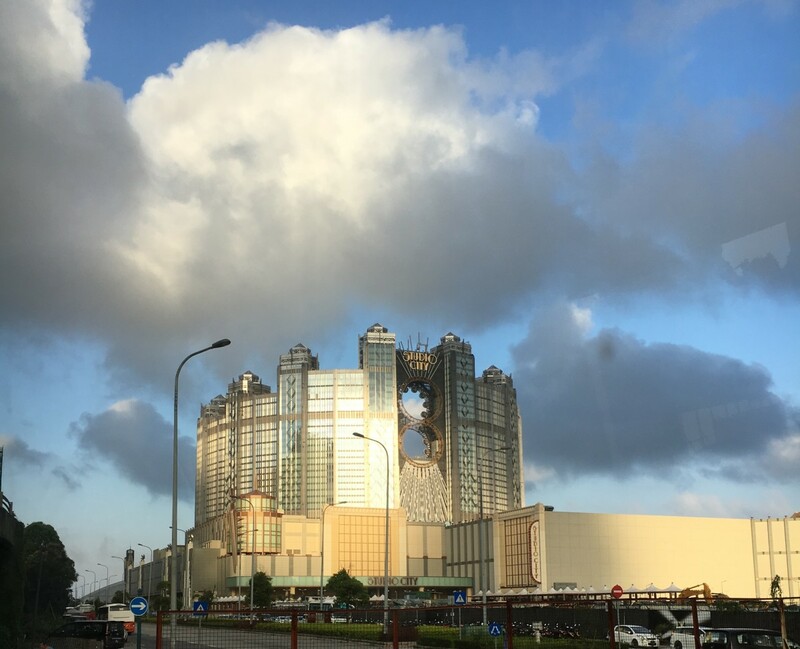 If you are staying in Macau Peninsula city centre and want to travel to Cotai, there some Cotai hotel shuttle buses that will do pick ups at the city centre (just ask your hotel concierge). 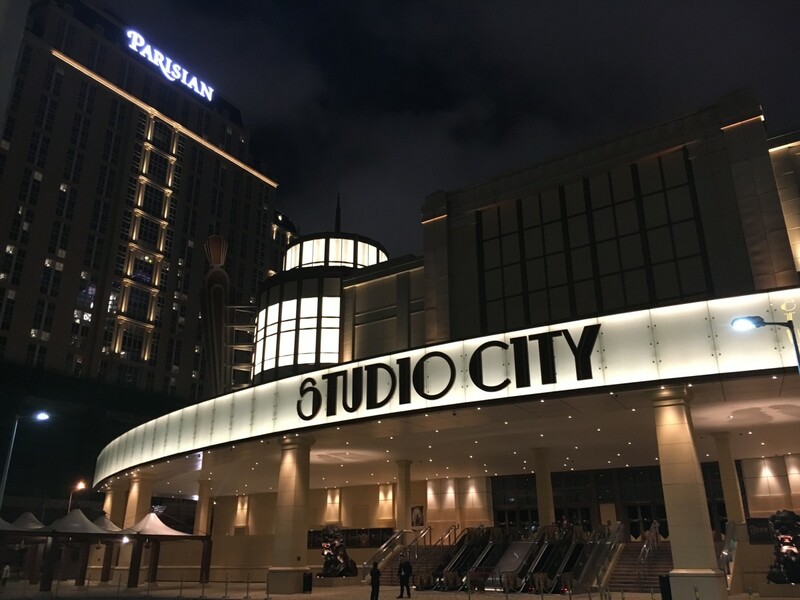 However, if you are unable to locate a shuttle bus at the city centre, you can always take any available shuttle bus back to the Outer Harbour Ferry terminal and board the bus which goes directly to the Cotai hotel that you are interested to visit. 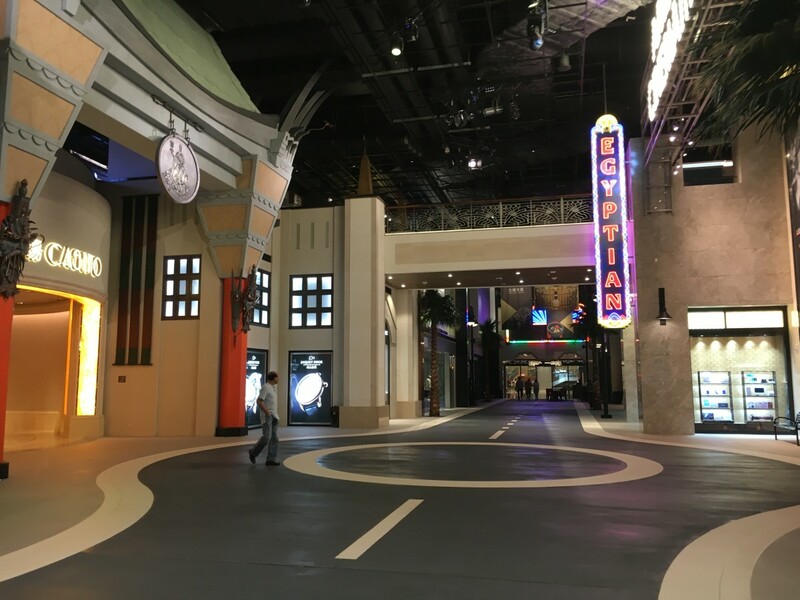 Do note that it is a little difficult to walk from one hotel to another at the Cotai area as each hotel takes up a huge land area so walking from one to the other can be a challenge. To get to the different hotels at the Cotai stretch, the hotels themselves do offer free inter hotel shuttle services (e.g. City of Dreams offer free bus services to Studio City). If you are in Macau, do check out their world famous water performance called The House of Dancing Waters at the City of Dreams Hotel. You can find out more from their website here. 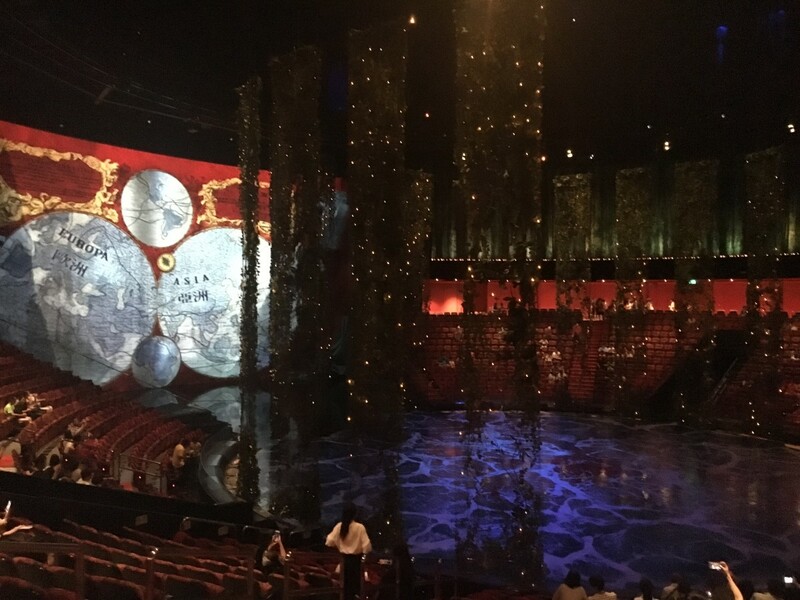 The whole set up is a circular stage so personally, I think you do not have to take the expensive tickets to get a good view of the show. The more important thing is to get seats as close to the stage as possible to get the best experience. They provide towels for the first 4 rows in front of the stage in case you get wet from all the splashing. Ponchos are also provided for seats located at the splash zone. In addition, water may also shoot out of the steps next to the front row seats - so make sure you don't leave your seat during the performance! Macau does have its own currency called Macanese Patacas (MOP), but it is really not required to change to MOP currency as the more widely used (and preferred) currency is Hong Kong Dollars (HKD). 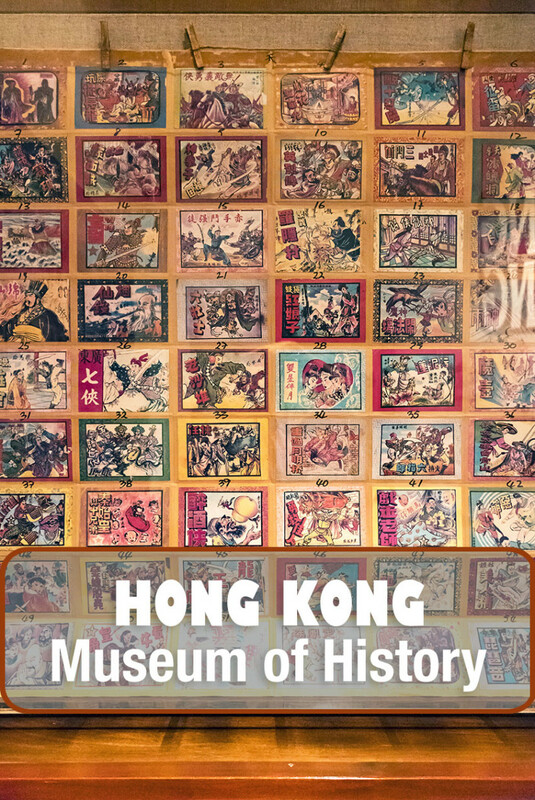 You can use HKD for just about anything—hotels, meals, taxis, ferry tickets, shops, entrances to museums, playing in the casinos e.g. The exchange rate between MOP and HKD is almost 1:1 so there is no significant difference between the two currencies. Therefore, these two currencies are often used interchangeably—e.g. if you pay in HKD, you may get back your change in MOP. If you do not want to get MOP currency, you can request for HKD during payment. To minimize getting MOP, try not to use big currencies (e.g. 1000 HKD note) for smaller local shops as they may not have enough HKD change for you. 5) Casinos—Sign up for Free Membership! 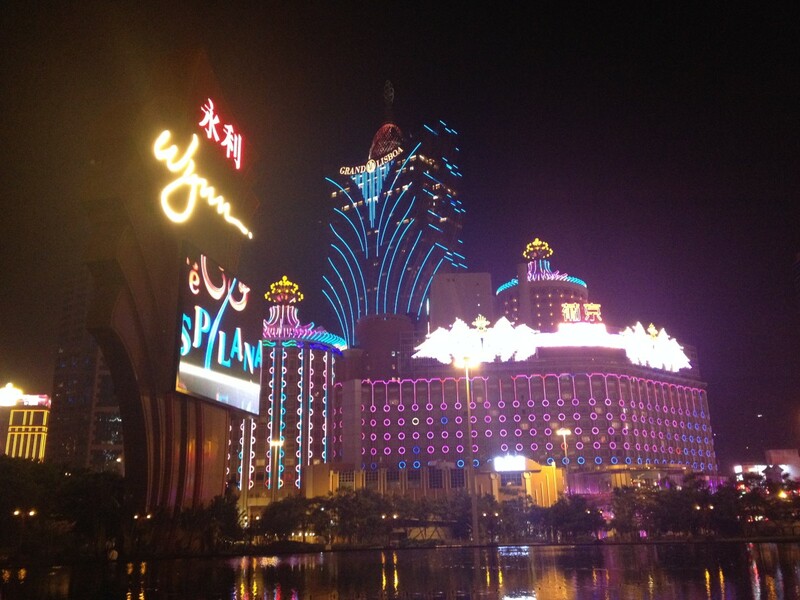 To me, casinos are the main attractions in Macau. If you are planning to go casino hopping, I recommend you to sign up for the free casino memberships. Just remember to bring your passport as you need it for the membership registrations. There are many benefits to having a membership—from instant lucky draws where you may be able to win free room stays, earning points while playing at the casinos to redeem gifts, to getting discounts at the hotel restaurants. If you are planning to return to Macau, you can also watch out for hotel deals for members. There is this obscure factory outlet at Macau Peninsula city centre that I will definitely visit whenever I'm at Macau. It's called the Garment Shop and the location map is below. The shop is located at the second floor so you need to walk up a little dodgy flight of stairs. The shop does not look impressive and quite messy at first but if you really take the time to look you can really get great bargains here. There are many international brands such as Abercrombie, Nike, Polo Ralph, Nautica, Hollister, Gap, Banana Republic—and these are the real stuff. I personally think there are better selections for guys than girls but it's still worth a visit. My husband managed to get great quality Abercrombie shirts for about HKD 180 each. I hope you enjoyed these Macau travel tips and find them useful! 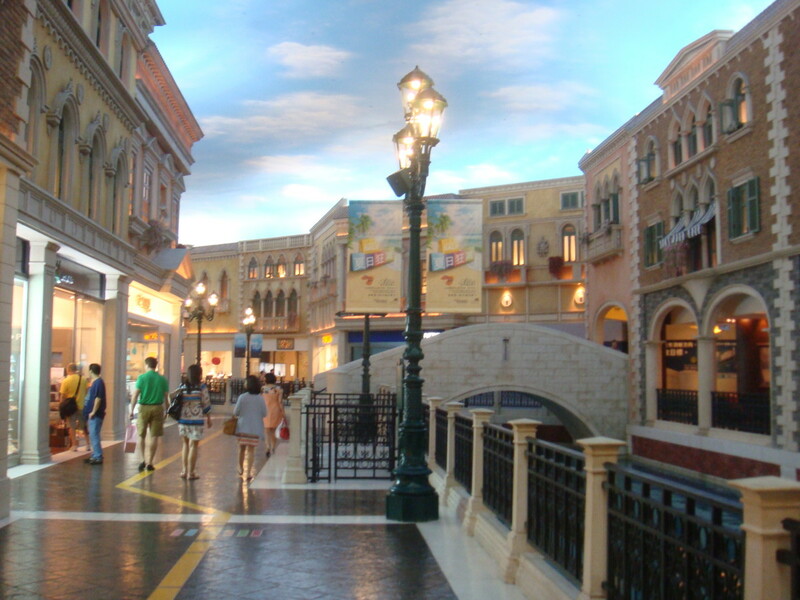 Is one day sufficient to cover the major attractions in Macau? Some people would take day trips to Macau from HK so it is possible. Usually a more comprehensive visit to Macau would be to cover the major hotels in Cotai (eg Venetian Hotel, Studio City, Galaxy) and more popular tourist attractions like the Ruins of St Paul's. One day is a little rushed (especially if you like to squeeze in some casino time) but can be done. I want to buy branded watches can you please suggest where I can get the watches at a reasonable price in Macau? In HK and Macau, the luxury watch retailers or boutiques are generally more attractively priced compared to many other countries. My understanding is that the shops have their own in house discounts upon discussion in the retail shops. The key is to know the general pricing of the particular watch you are looking for in order to know how to bargain. When do you recommend I go to Macau? Should I go on the weekday or weekend? As with most entertainment spots, the weekend will be more crowded. If you are not up for crowds, go on a weekday. 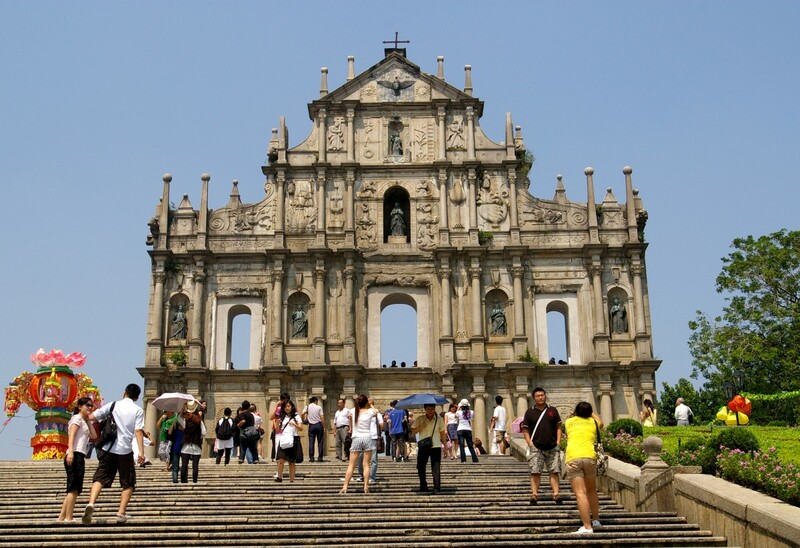 Are there free shuttle buses available from Macau Ferry Terminal to the Ruins of St. Paul's? I don’t recall there being any free shuttle buses. However, as I mentioned in my post, you can always check out which big hotel is near the area that you want to visit and take a free shuttle ride to the hotel then walk. 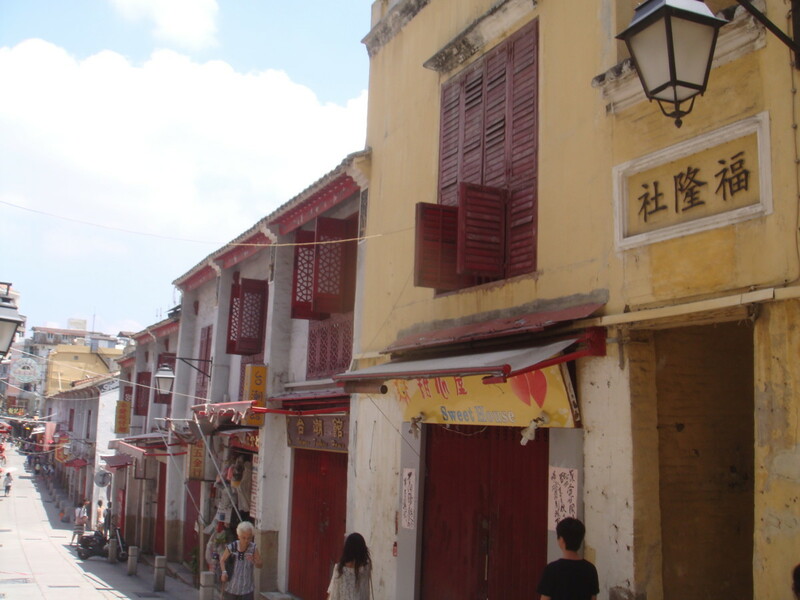 The old part of Macau where the majority of the old tourist attractions are located (e.g., the Ruins of St. Paul’s) are very walkable. I previously stayed at old Lisboa hotel and managed to walk to the Ruins of St Paul’s. 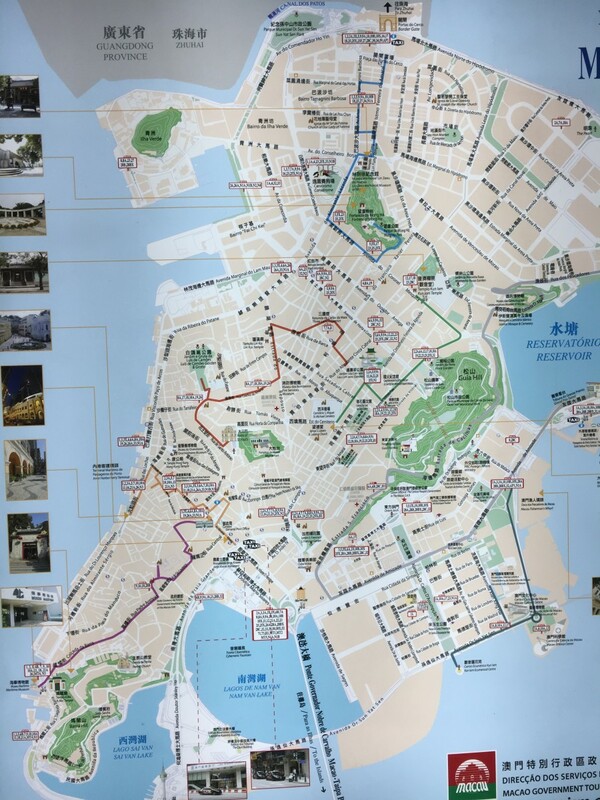 Is there a free shuttle that goes from the city center to Taipa? My understanding is yes, some big hotels like Venetian Hotel do offer free shuttle pick up from the city centre to their hotel in Taipa. However, you should ask your own hotel concierge (I don't mean the Venetian Hotel concierge, I mean any hotel concierge) for more information on that (e.g. Bus pick up location). Is there a free shuttle from Taipa Ferry Terminal to the Border gate in Macau? Hi Obira, thanks for the suggestion! I think it's a great idea.. Do u have some rough details on it like the location/website so you can direct me to the right direction? I did a quick search but am not sure if I am looking at the right one. Its also more reliable if I get info from people with recent experience of the place. Can also direct a traditional or simplified Chinese version of the website.. I can make out the details.. Thanks! this is a really good article, however there's one thing i would recommend you to add on, I saw a lot of people are asking about the outlets in Macau, sadly most of them are in Chinese that's why westerners can't understand, there is this outlet named iSport that can be add on, they are rather famous for the local Macanese and foreigners who've been living in Macau for a While. let me know if you want their info, or maybe you can just look it up at Google map. Thank you for the Garment Shop tip. It is a bit hidden, but it was well worth it! Bought quite some Abercrombie stuff too! Hi Diah, for the most updated bus routes I suggest you ask the hotel for more information. The last time I stayed at hotel Sintra, the hotel directed us to a nearby walkable bus stop where Venetian hotel shuttle buses do city pick ups to their hotel. Thanks! Hi Queenelizabeth, there are free hotel shuttle services available at the airport, but lesser in variety than the ferry terminals. You should definitely check your hotel website to see if they offer free shuttle services first. Otherwise, you can use google map and check the hotels near yours to see if they offer free shuttle services from the airport and just hop on those when you arrive and then walk to your hotel (don't worry they won't ask if you are hotel guest). If you think it's too inconvenient, taxis are alright too..it shouldn't cost that much (compared to HK) as Macau is quite small. Hope you have an enjoyable trip! Hi there! Thanks for the extensive information you provided about Macau. Me and my husband is planning to visit Macau on February next year and we will be flying from Manila Philippines to Macau. I was just wondering if there is available transportation in the airport going to the hotels or we should take a taxi? Are taxis expensive too like the ones in Hongkong? Coz the cans in HK are costly.. thanks in advance!